Every business needs to have a written business plan. Whether it’s to provide direction or attract investors, a business plan is vital for the success for your organisation. But, how do you write a business plan? Executive summary – a snapshot of your business. Company description – describes what you do. Market analysis – research on your industry, market, and competitors. Organisation and management – your business and management structure. Service or product – the products or services you’re offering. Marketing and sales – how you’ll market your business and your sales strategy. Funding request – how much money you’ll need for next 3 to 5 years. Financial projections – supply information like balance sheets. Appendix- an optional section that includes résumés and permits. However, getting started can be difficult to do. So, here’s a seven steps in writing a perfect business plan. In other words, it’s your responsibility to know everything you can about your business and the industry that you’re entering. Read everything you can about your industry and talk to your audience. 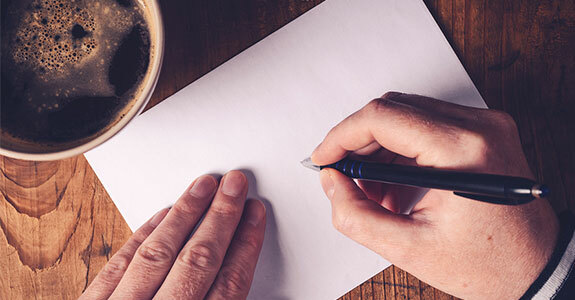 A business plan, as defined by Entrepreneur, is a “written document describing the nature of the business, the sales and marketing strategy, and the financial background, and containing a projected profit and loss statement.” However, your business plan can serve several different purposes. As Entrepreneur notes, it’s “also a road map that provides directions so a business can plan its future and helps it avoid bumps in the road.” That’s important to keep in mind if you’re self-funding or bootstrapping your business. But, if you want to attract investors, then your plan will have a different purpose and you’ll have to write your plan that targets them so it will have to be as clear and concise as possible. When you define your plan, make sure you have defined these goals personally as well. Your company profile includes the history of your organisation, what products or services you offer, your target market and audience, your resources, how you’re going to solve a problem, and what makes your business unique. When I crafted my company profile, I put this on our about page. Company profiles are often found on the company’s official website and are used to attract possible customers and talent. However, your profile can be used to describe your company in your business plan. It’s not only an essential component of your business plan, it’s also one of the first written parts of the plan. Having your profile in place makes this step a whole lot easier to compose. Investors want to make sure that your business is going to make them money. Because of this expectation, investors want to know everything about your business. To help with this process, document everything from your expenses, cash flow, and industry projections. Also don’t forget seemingly minor details like your location strategy and licensing agreements. Boost sales in a particular product, market or price range. Where will this business come from? Be specific. “Each marketing objective should have several goals (subsets of objectives) and tactics for achieving those goals,” states Entrepreneur. Of course, achieving marketing objectives will have costs. 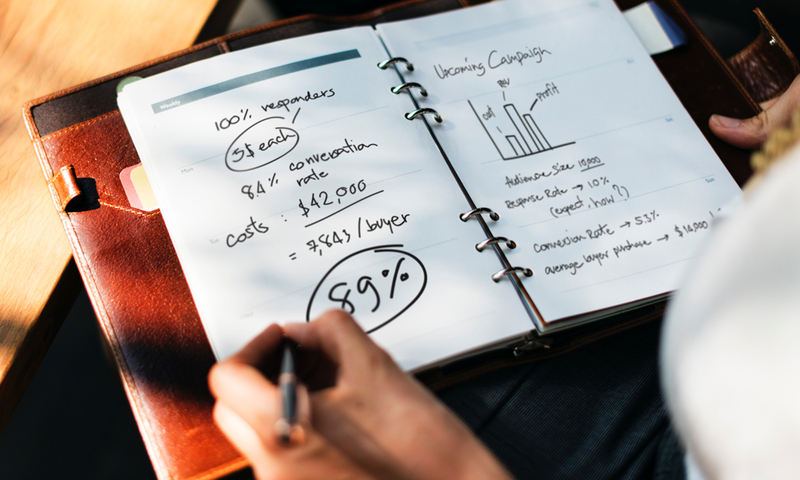 “Your marketing plan needs to have a section in which you allocate budgets for each activity planned.” It would be beneficial for you to create separate budgets for for internal hours (staff time) and external costs (out-of-pocket expenses). “The potential readers of a business plan are a varied bunch, ranging from bankers and venture capitalists to employees,” states Entrepreneur. Because of this, make sure that your plan can be modified depending on the audience reading your plan. However, keep these alterations limited from one plan to another. This means when sharing financial projections, keep that data the same across the board. Whether you’re sharing your plan with an investor, customer, or team member, your plan needs to show that you’re passionate, dedicated, and actually care about your business and the plan. You could discuss the mistakes that you’ve learned, the problems that you’re hoping to solve, listing your values, and what makes you stand out from the competition. When I started my payments company, I set out to conquer the world. I wanted to change the way payments were made and make it easier for anyone, anywhere in the world to pay anyone with little to no fees. I explained why I wanted to build this. My passion shows through everything I do. By explaining why you care about your business creates an emotional connection with others so that they’ll support your organisation going forward. John Rampton is an entrepreneur, investor, online marketing guru and startup enthusiast. He is founder of the online invoicing company Due. John is best known as an entrepreneur and connector. He was recently named #2 on Top 50 Online Influencers in the World by Entrepreneur Magazine and has been one of the Top 10 Most Influential PPC Experts in the World for the past three years. He currently advises several companies in the San Francisco Bay area.